On Sunday, Spokane NAACP President Rachel Dolezal announced she was postponing a Monday meeting expected to include her first public statement regarding accusations she lied about her race. 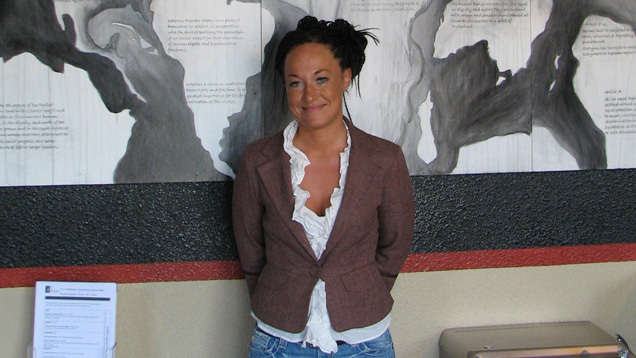 Rachel Dolezal to Adopted Black Brother: "Don't Blow My Cover"
Dolezal previously told members that she and the chapter’s executive committee would release statements addressing the controversy at the meeting. I’m puzzled by your decision to arbitrarily cancel/postpone the meeting without input from the executive committee which is scheduled to meet today. The Association’s by-laws provides specific guidelines concerning monthly general/branch meetings. Article V, Section 1 states, “Regular meetings shall be held on a fix day or date each month.” That date, as agreed upon by the executive committee, is the third Monday of each month which is tomorrow. I don’t see any language in the by-laws that empowers you, or any one member, to arbitrarily cancel/postpone tomorrow’s meeting. According to The Spokesman-Review, chapter members currently plan to hold the meeting as scheduled.